The emerald green waters of this mountain lake offer some of the most unique diving in landlocked Austria. 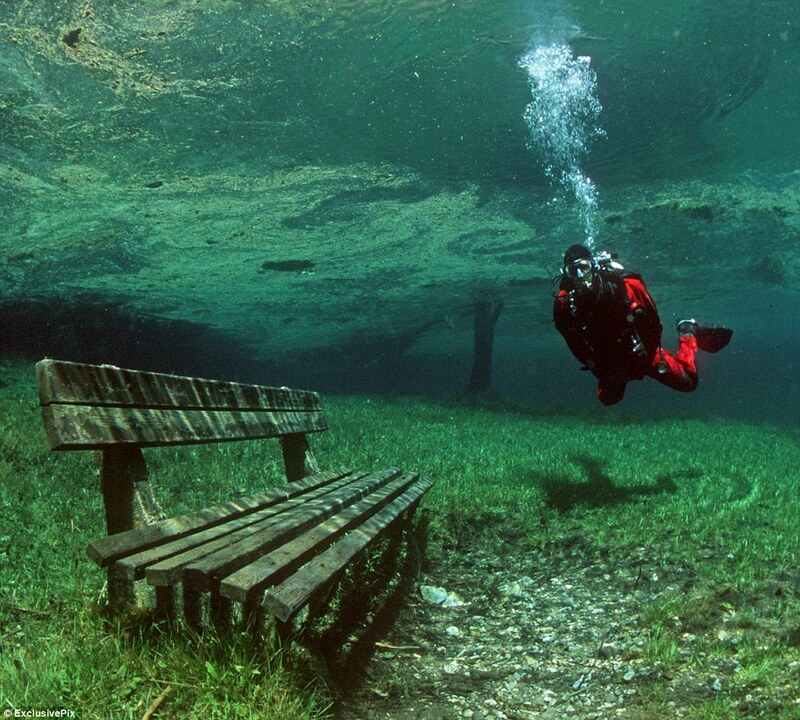 On the bed of the lake underwater explorers will discover fish swimming though the branches of trees, a floor covered in grass, benches, bridges and a landscape that looks like it belongs overground. And that's because for half of the year it is overground.